How many times have you mistaken an unsuspecting stranger’s car for your Uber? Regardless of knowing the license plate number and car model, it’s not always easy to pick out the right car in a row of traffic. 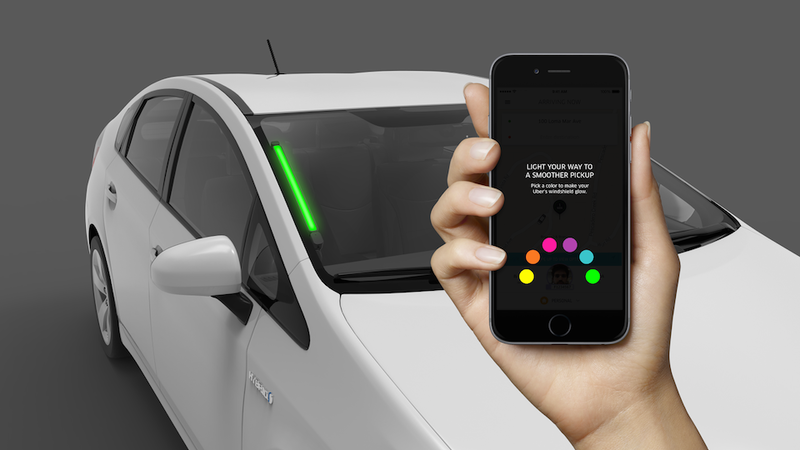 To save you the embarrassment of hopping into and then straight back out of someone else’s car (yep, I’ve been there), Uber has launched SPOT – a color coded lighting system to help you identify your ride. It works by asking you to choose a color in the app when you make a booking. Drivers will have corresponding lights in their windshield, which will turn on when the car arrives to pick you up. To help out the Uber drivers, you can choose to light up your phone screen the same color so they can see you when they’re arriving. Obviously, this could quickly run into trouble if someone else in the vicinity has chosen the same color as you, but it will at least help narrow down the possibilities and makes it clearer which cars are from Uber. SPOT is rolling out in Seattle at the moment but the company says it’s still an experiment so there’s no concrete date for when it will be available elsewhere.